Problems have arisen with Google's Android OS and some developers are wondering why so little has been done to address them. 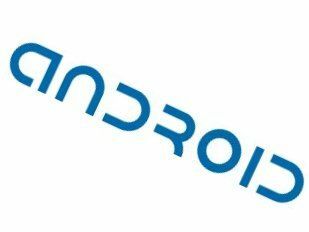 Google's Android mobile platform may be running into some tough times. Ars Technica and The Wall Street Journal are reporting that the operating system is suffering from major flaws in both the code itself and in the development process, which is hindering its ability to get to manufacturers within a reasonable amount of time. The reports are also claiming that developers must petition Google to report a bug or receive help and the company has yet to institute a public tracking system, while offering very little documentation. Developers are complaining that many ostensibly simple tasks are not nearly as easy to perform on Android as they are on other platforms and the Android software development kit provides few examples of how to write code. Worse, developers claim, the kit frequently requires too many steps to accomplish such simple goals as defining an interface layout. "Functionality is not there, is poorly documented or just doesn't work," developer Adam MacBeth told The Wall Street Journal. So far, Google has yet to fully address the reported issues, but it has recognised an issue with the bug tracking system and is working on ways to fix that problem. HP has refreshed its notebook upgrade options that will allow you to add an optical drive that can both read Blu-ray discs and burn DVD-R and -RW discs. On the graphics side, you can now choose the 128MB GeForce 8400M GS on the company's 14.1-inch models, a 256MB version on the 15.4-inch notebook and a 512MB 8600M GS on the 17-inch systems. According to a filing with US federal regulators, Creative may be planning to release a new video phone called the InPerson. The filing claims that Creative's new device features a 7-inch LCD and rotating VGA camera that can be used for video chats using SightSpeed's live video service. The InPerson uses either Wi-Fi or an Ethernet connection and employs RCA output for relaying video back and forth. The company has yet to announce any pricing or availability, but most are speculating it will announce the system at CES in January.